Hello and a very Shiny, Happy Monday to you! 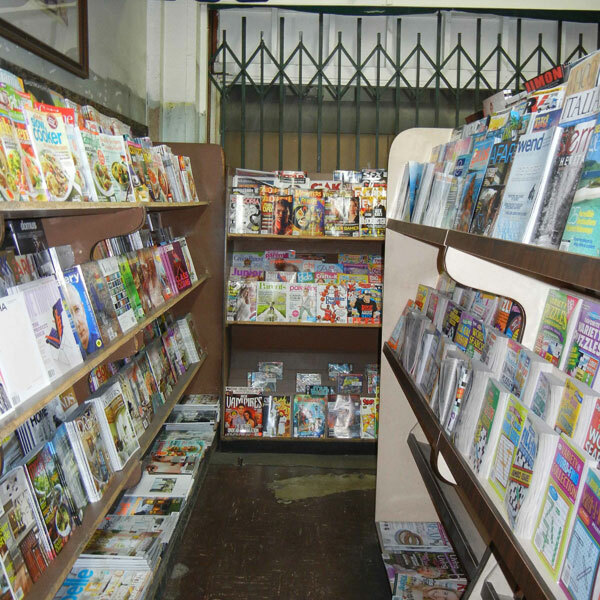 For today’s happy thought, I’d like to give a shout out to a classic institution: the newsstand. In an era where print seems to be dying out – why pick up a book when you can get a Kindle, why look at a newspaper when you can read all your news online – there’s something about the simple pleasure of browsing through a magazine or even (gasp!) a paper that is worth celebrating. While I’d like to believe that the colorful glossies will always have an audience, it does seem to be the way of the world that with everything moving to the internet, magazines could, at some point, go the way of the dinosaur. But seriously, people. When you are having one of those days when you really need a time-out, I recommend the following: cruise by your local newsstand and allow yourself 20 minutes to browse titles you normally wouldn’t pick up (or the most gossipy gossip rag you can find – your secret’s safe with me!) and get lost in another world. I guarantee it will be more satisfying than checking out the status updates of your 800 Facebook friends. Wishing you a shiny happy Monday!